Deep purple color. Rustic, fruity aromas of wild raspberry danish, iron rich soil, menthol, and touch of pepper with a slightly chewy, fruity sweet medium body and an intriguing, medium-long sun dried raspberries, sun dried tomatoes, sweet basil, and milk chocolate bar and terra cotta finish with firm, chewy tannins and light oak flavor. A spot on zinfandel, rich and juicy with good tannins and structure. 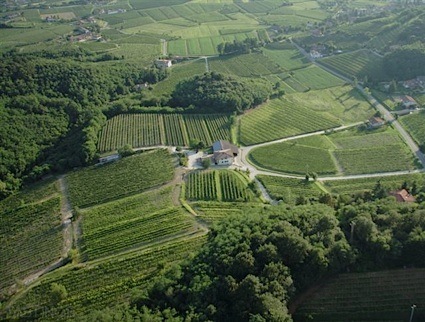 Bottom Line: A spot on zinfandel, rich and juicy with good tannins and structure. 93 • Tonti Family Wines 2013 Old Vine, Zinfandel, Russian River Valley 15.9% (USA) $60.00. 94 • Tonti Family Wines 2013 Reserve, Zinfandel, Russian River Valley 15.9% (USA) $50.00. 94 • Tonti Family Wines 2014 Old Vine Reserve, Zinfandel, Russian River Valley 15.9% (USA) $50.00. 88 • Tonti Family Wines 2014 Old Vine Artisan Series, Zinfandel, Russian River Valley 15.9% (USA) $60.00. 92 • Tonti Family Wines 2016 Reserve Old Vine, Zinfandel, Russian River Valley 15.9% (USA) $49.00. 93 • Tonti Family Wines 2016 Artisan Series Old Vine, Zinfandel, Russian River Valley 15.9% (USA) $59.00. 90 • Tonti Family Wines 2013 Artisan Reserve Old Vine, Zinfandel, Russian River Valley 15.9% (USA) $69.00. 91 • Tonti Family Wines 2018 Rosé, Zinfandel, Russian River Valley 13.9% (USA) $29.00. 93 • Tonti Family Wines 2017 Old Vine, Zinfandel, Russian River Valley 15.9% (USA) $49.00. 91 • Tonti Family Wines 2017 Artisan Reserve Old Vine, Zinfandel, Russian River Valley 15.9% (USA) $59.00. 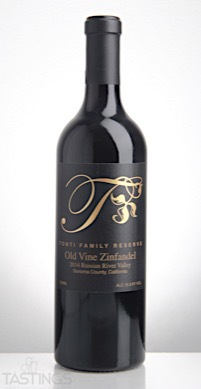 Tonti Family Wines 2014 Old Vine Reserve, Zinfandel, Russian River Valley rating was calculated by tastings.com to be 94 points out of 100 on 4/28/2017. Please note that MSRP may have changed since the date of our review.